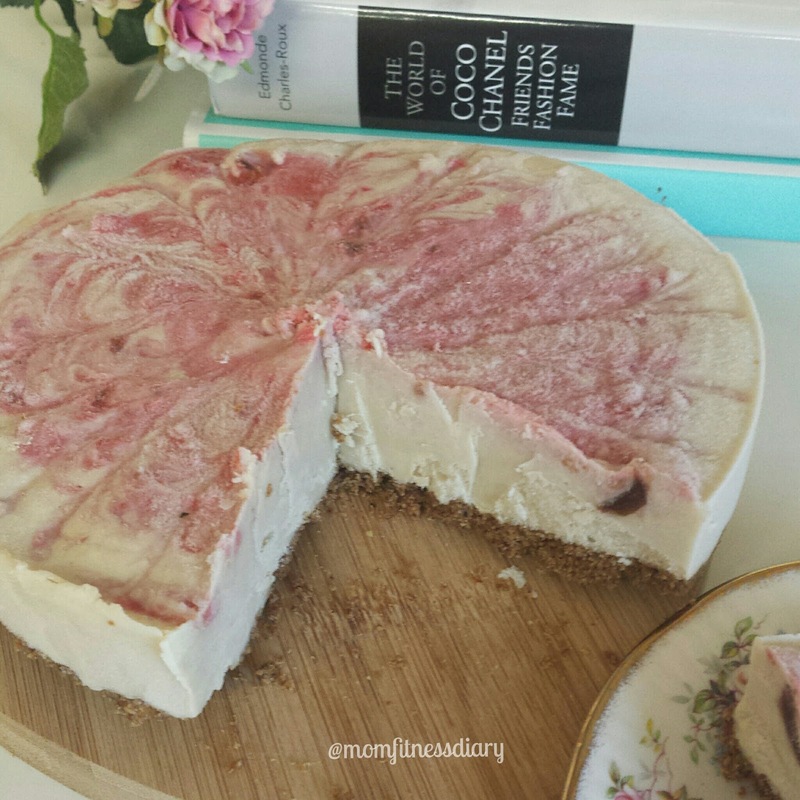 This cheese-less cheesecake is so deliciously creamy, it almost tastes like vanilla ice-cream! I first made this recipe 2 years ago, and I don’t know why it took me so long to make it again! Although, this time, I made the base of the cheesecake with Nakd bars! YES, that’s right! with Nakd bars! 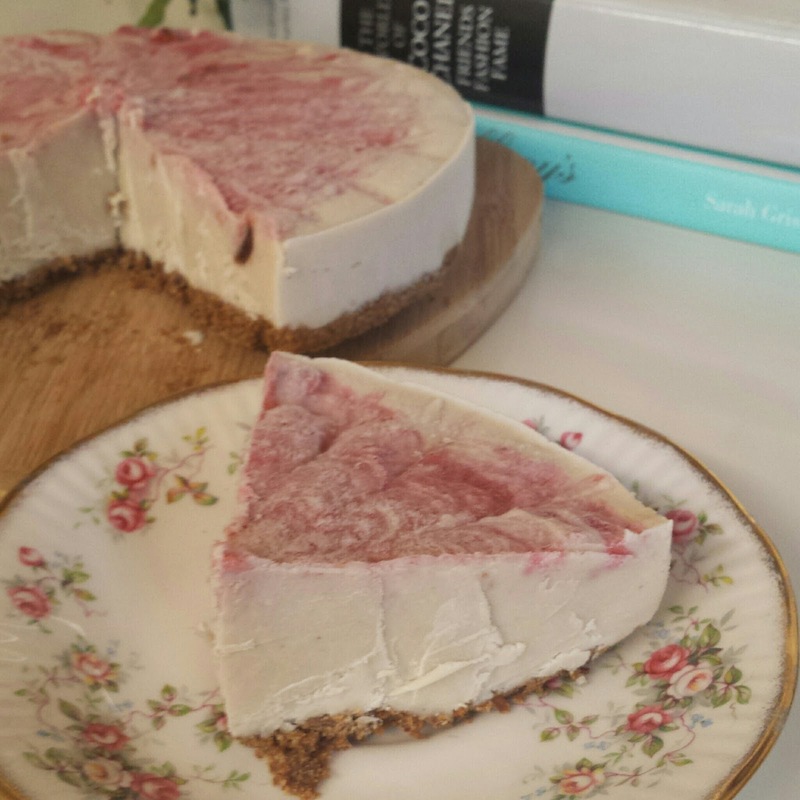 I used the strawberry crunchy flavour, and base was absolutely divine! 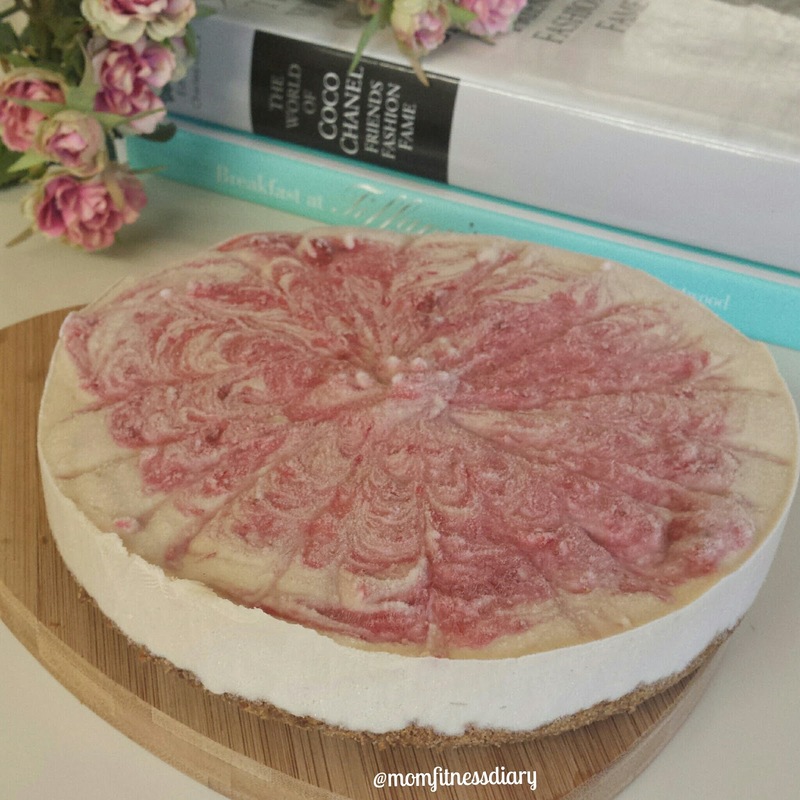 Make sure you grease your mould well, so that your cheesecake does not stick to the bottom. Or, instead of greasing the mould you can use greaseproof paper. If you don’t want to make the base with the Nakd bars, you can instead make your own base by blending 1/2 cup of raisins or dates, 1 tablespoon of cocoa powder, 1/2 cup of any nuts and 2 tablespoons of melted coconut oil. Whichever base you decide upon, make sure you press the base firmly down on your mould, to ensure that there are no cavities. 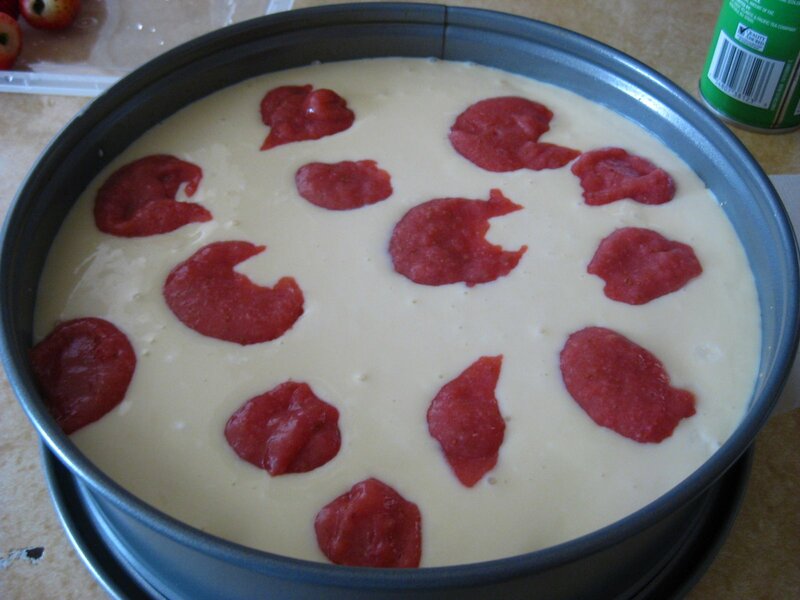 Then, place the mould into your freezer to set, while you make the rest of the cheesecake. Blend all ingredients in a blender and place the mix on top of the base. Blend 6 strawberries. When fully blended, carefully drop a few generous dollops of the mixture onto the cake and swirl your strawberry dollops around with a toothpick! You’ll know that its ready when you create that beautifully delicious marble finish!! 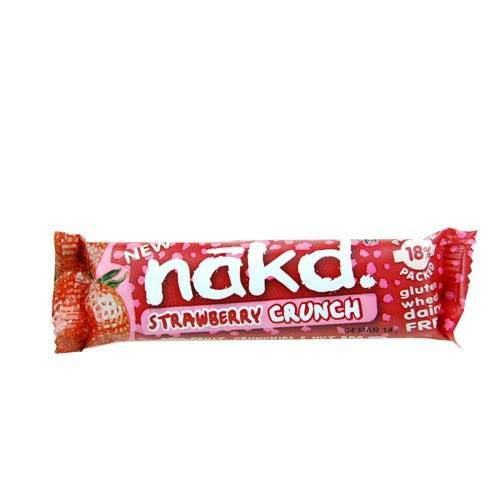 *Disclaimer: I bought the Nakd bars myself. This is not a promotion. I’m using the bars because I simply love them. Woa! It looks delicious. Thank you for your post.